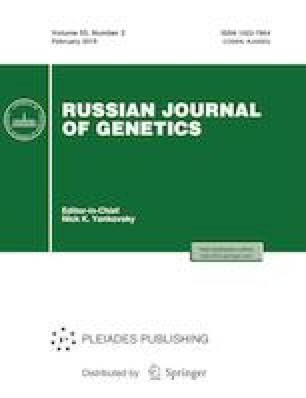 The present study investigated the genetic diversity and structure within the P. domestica species on the basis of analysis of 60 varieties by eight SSR loci. The study sample included various subspecies of domestic plum: mirabelle plums, greengages, damsons, and zwetschgen. The number of alleles per locus revealed in the study varied from 6 to 39; in total, 153 alleles were identified. The Bayesian method made it possible to identify four reconstructed panmictic populations. The contribution of reconstructed panmictic populations is specific to each group of P. domestica. According to the obtained data of the cluster analysis by UPGMA and PCoA, damsons represent the most genetically isolated subspecies of plums. On the other hand, the majority of varieties of domestic and foreign breeding do not form distinct groups in clustering, indicating the unity of the gene pool of cultivated plum forms.